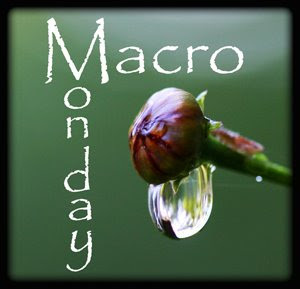 A macro well captured. Today in large Brazilian cities is not very common to find frogs, but in rural areas is very common. My niece has a pug, and they are busy little dogs, aren't they? Her little daughter suddenly up and announced, when she was only three, "I want a pug!" Gets my niece and the little one out walking a lot. I'm glad you had a good visit but I'm sorry it was so short. The good people don't stick around for very long, it seems. Nifty frog photo (or is it a toad? I never remember which is which). That is a great shot! Nice to have some quality family time. Sweet little acorn tops, great detail! He just blends right in! Cute! He blends in so well - what a wonderful find. Great shot Misty! Wonderful shot of that little frog. How did you ever see it as it is pretty camoflagued by it's surroundings. 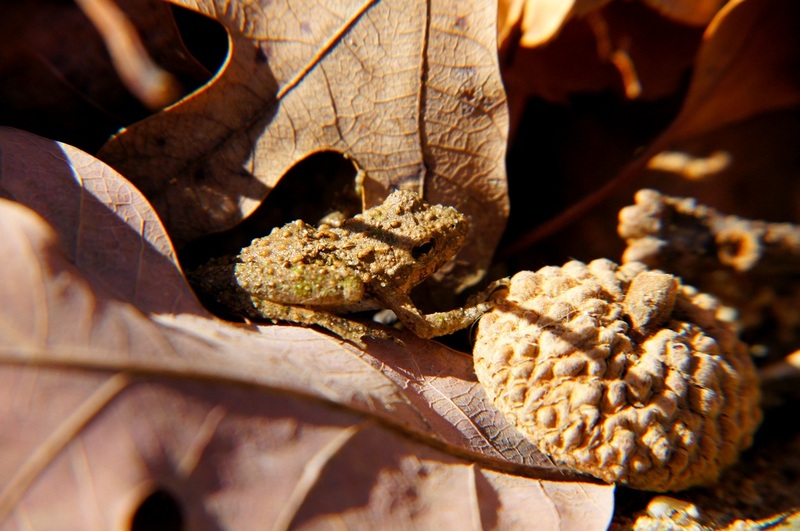 That toad blends in so well with the tones of this shot that I had a hard time seeing it at first!